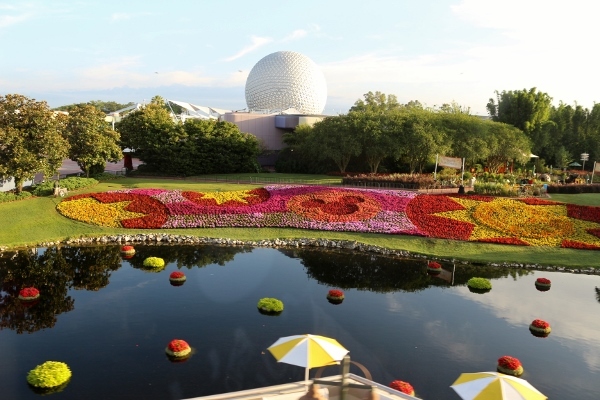 The springtime tradition of the Epcot International Flower and Garden Festival took place from March 2 through May 30, 2016, lasting about 2 weeks longer than the previous year. 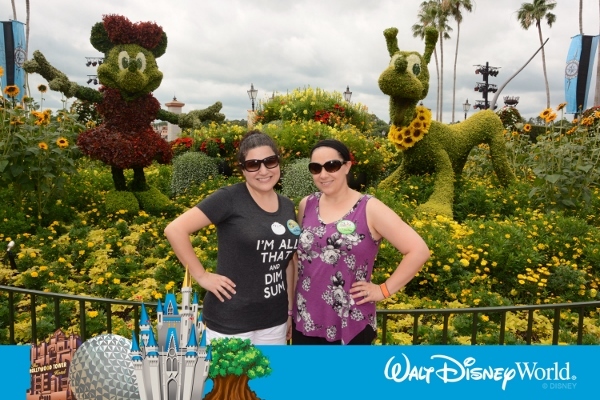 We were able to take advantage of these extended dates since our trip was planned for late May. 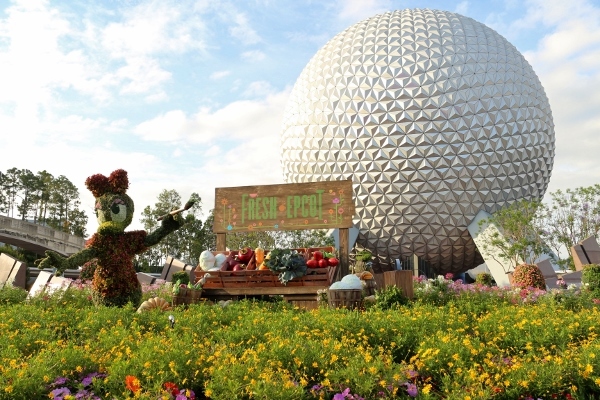 I really hope they continue to extend these dates for both the Flower and Garden Festival and the Food and Wine Festival in the fall, so even more people will be able to participate in these special events. 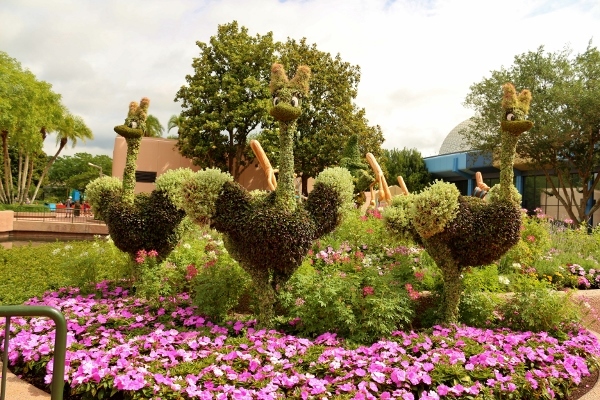 A huge variety of topiary displays, exhibits and gardens are located throughout the park, and often depict beloved Disney characters. 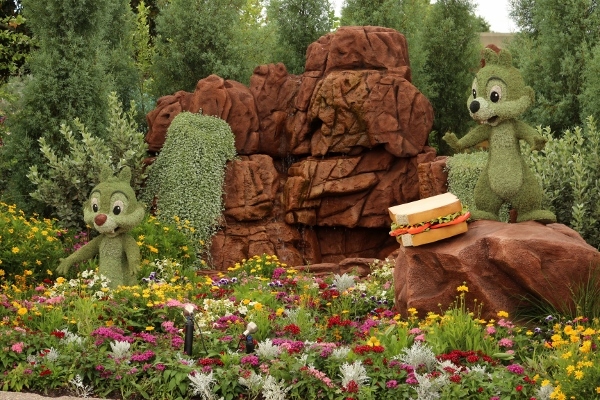 We went to the Flower and Garden Festival in 2013 as well, and were really impressed by how different many of the topiary displays and gardens were between the years. 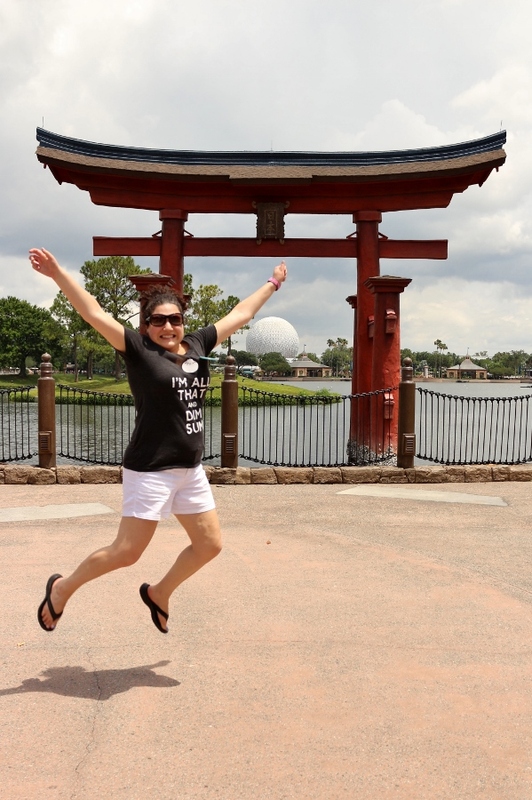 You can easily return to this springtime event and have new experiences each time. 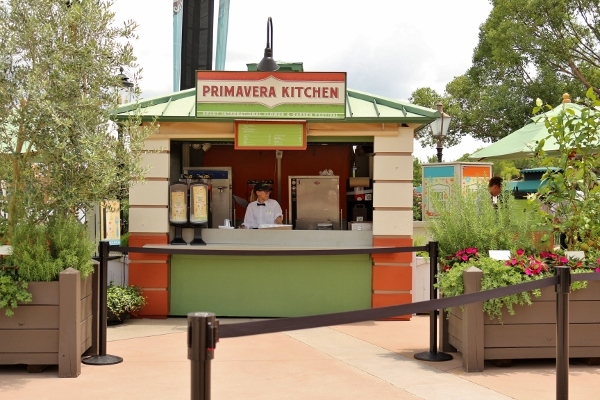 Our previous visit to the festival in 2013 was the first year that Epcot added outdoor kitchens similar to what is found at the Food and Wine Festival. 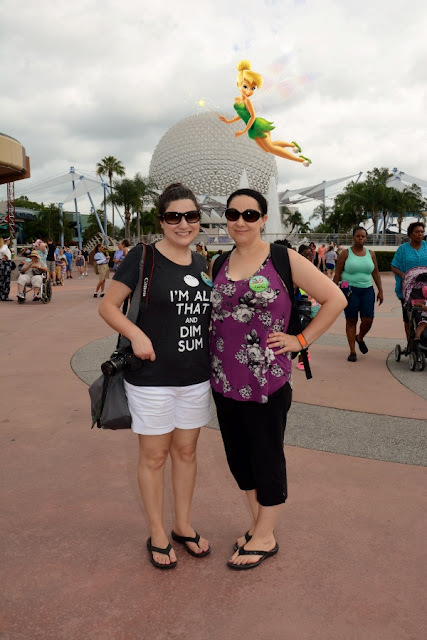 At the time, we had other dining plans, and didn't really take advantage of it, but this time around we planned our lunch to visit many of the outdoor kitchens for a variety of delicious tasting portions from around the World Showcase. 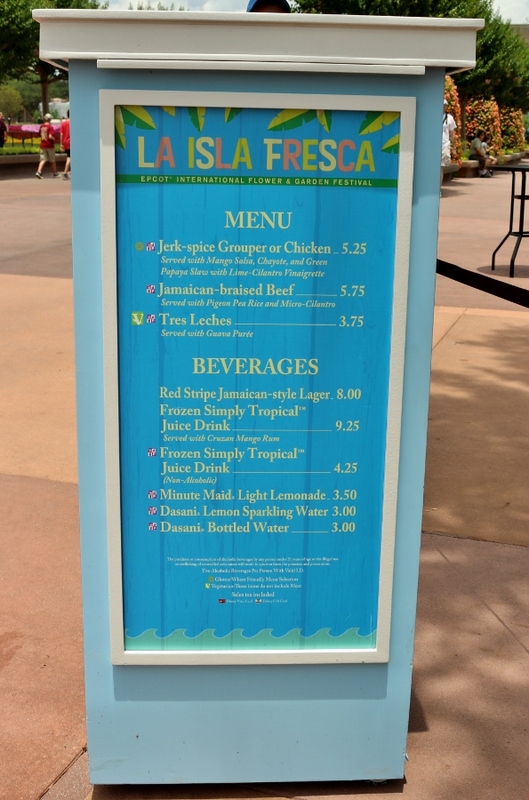 We planned ahead for how many total dishes to get (we were going to share everything so we could try twice as many items), and decided to begin our approach from the Canada end of the Showcase and wrap up at Mexico (this is actually the direction we ALWAYS tend to go for some reason, just a habit). 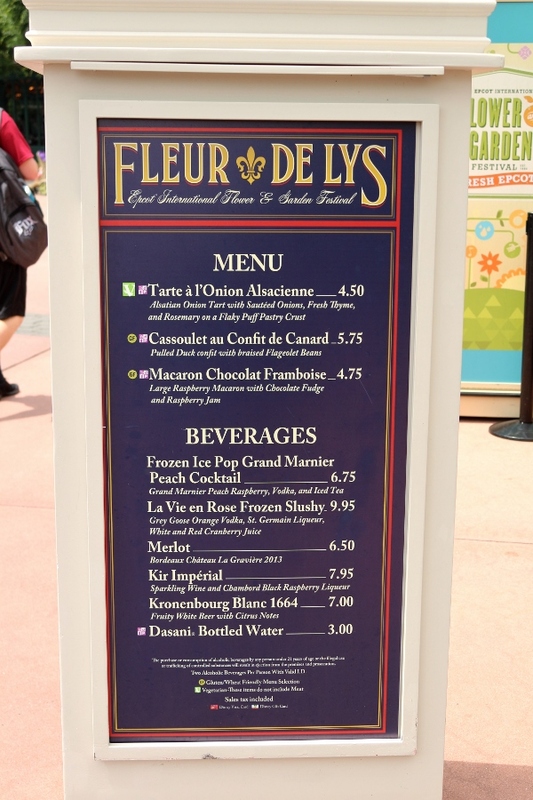 From Fleur de Lys in France, we selected the Tarte à l'Onion Alsacienne. 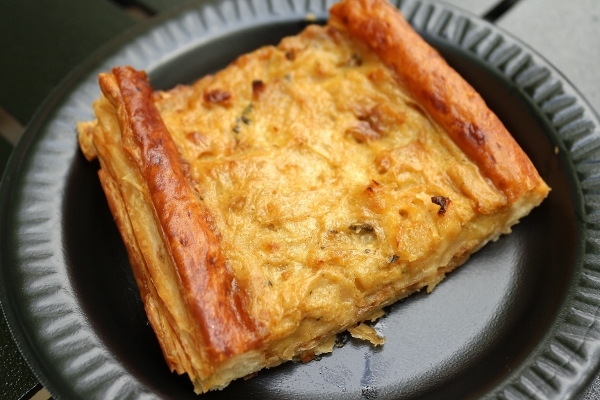 This Alsatian onion tart is made with sauteed onions, fresh thyme and rosemary on a flaky puff pastry crust. It doesn't look like much in photos, but it's excellent, featuring a tender, well-seasoned onion filling with a perfectly flaky crust. We were so hungry starting our food tour that we ordered two of these tarts, one for each of us, and were happy not to have to share. 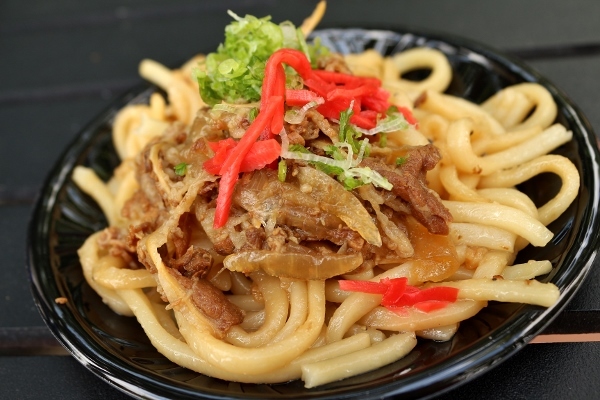 Next, we headed to Hanami in Japan, where we ordered one of the season's favorite tastings, the Beef Teriyaki Udon, thin-sliced beef, onions, and noodles tossed on the grill with soy and ginger. Again, this dish tastes better than it looks. 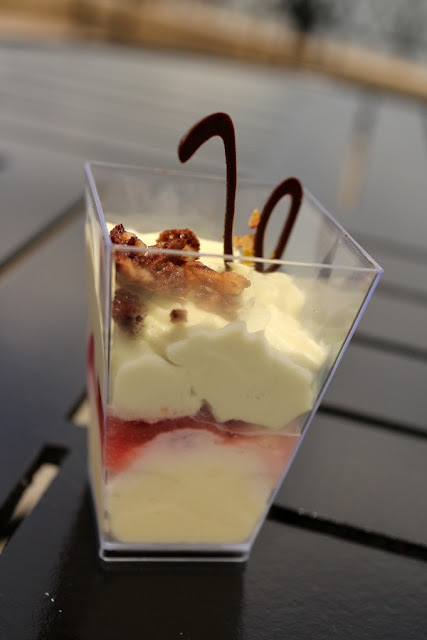 It is our #1 favorite item we tried from the entire event. I even emailed Disney asking for the recipe. 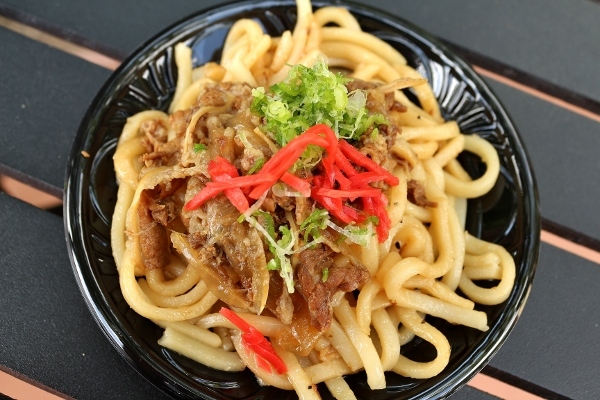 We'd really like a huge bowl of this next time! These noodles make me jump for joy! Our next stop was actually for dessert. Weird, I know. 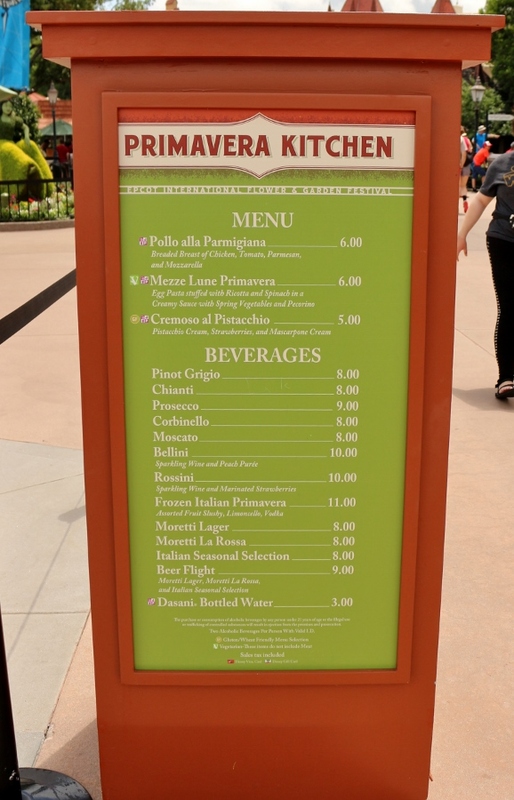 There was a dessert on the Primavera Kitchen menu in Italy that we wanted to try, so we decided to go for it. The Cremoso al Pistacchio is a small parfait of pistachio cream, strawberries, and mascarpone cream. The portion is VERY small. For the price we were expecting something at least slightly bigger. With that said, it's really delicious, but for $5 I'd really expect something twice its size. Greetings from Germany. 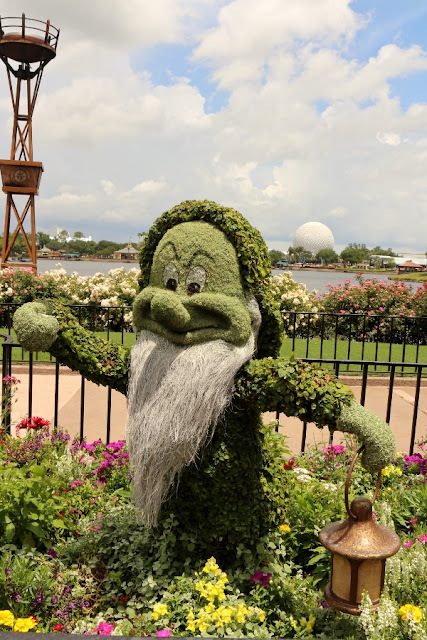 Grumpy says hi! At the Bauernmarkt: Farmer's Market we tried the Currywurst with Paprika Chips. 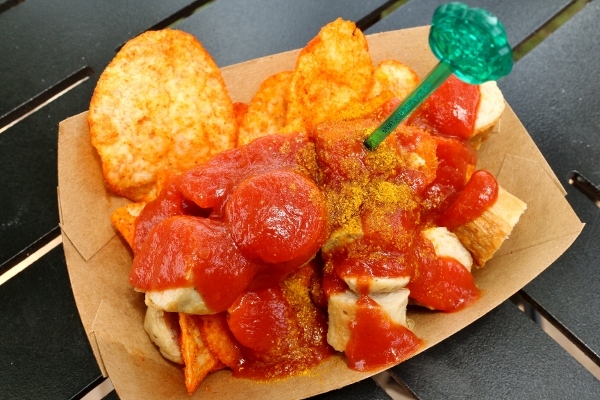 It consists of roasted bratwurst, curry ketchup, and paprika-spiced potato chips. Once again, we have a dish that looks kind of eh, but it really blew me away. 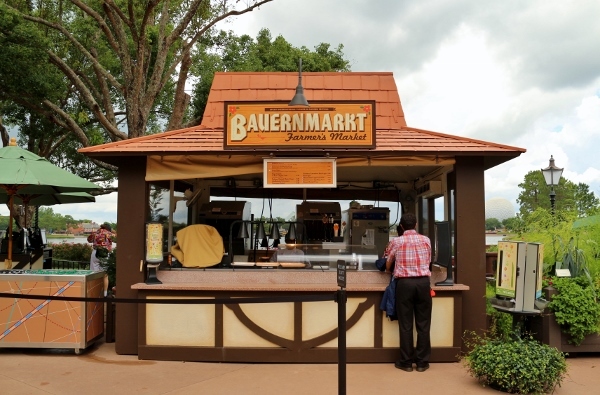 That curry ketchup was phenomenal, and really took the bratwurst to another level. For the same price as the tiny pistachio cream in Italy, you get a really generous portion here. Loved the crunch of the well-seasoned chips along with the juiciness of the brat. Seriously, a great choice and one I hope they will have in the future. 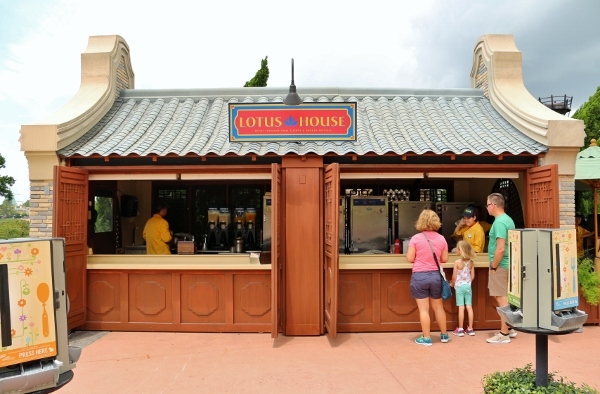 Lotus House in China was our next stop. 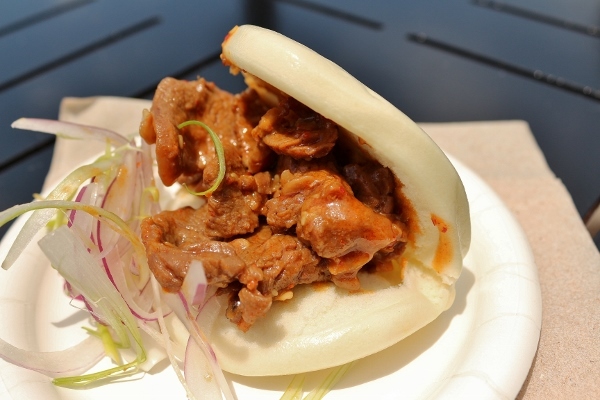 Here we ordered another popular choice from this year's festival, the Gaoli Beef Bun. Served on a fluffy steamed bun, the thinly sliced beef is nicely lacquered in sauce, and yields the perfect bite. 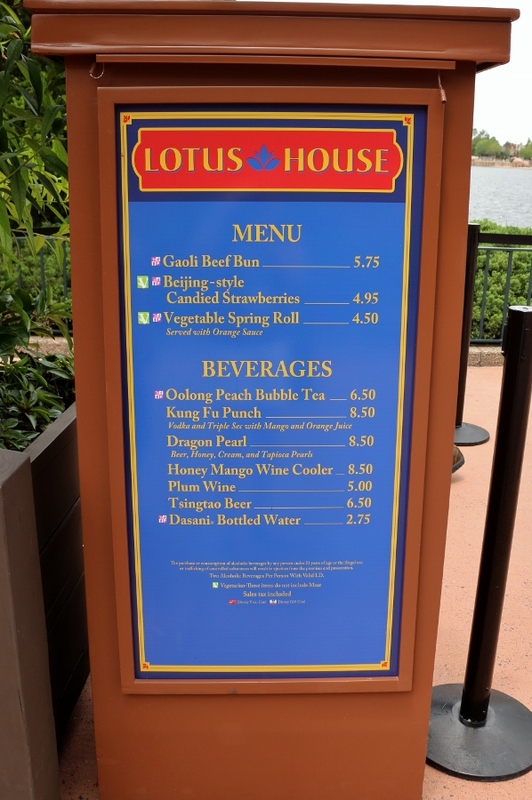 As a fan of dim sum (heck, I was wearing a dim sum tee-shirt that day at Epcot), I was very pleased with this offering. 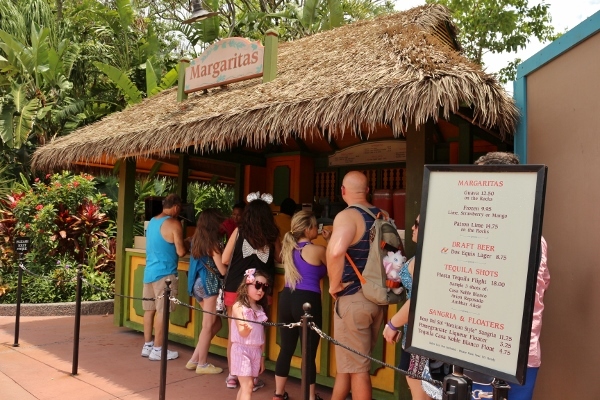 Next, we actually headed to the Margarita stand in the Mexico Pavilion. 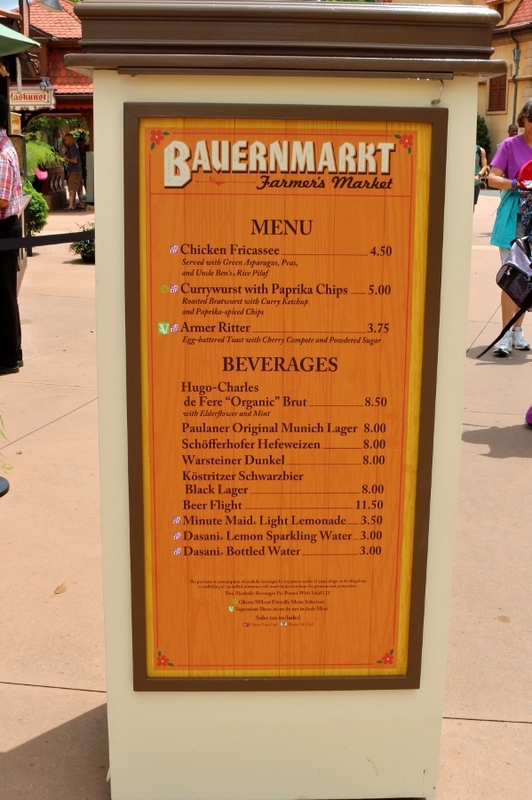 This is a fixture in the Mexico Pavilion, and not part of the festival. 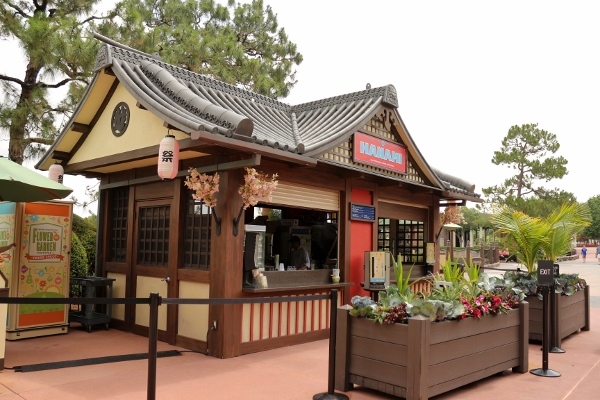 It's currently closed, but this may be only temporary. I hope it reopens soon! 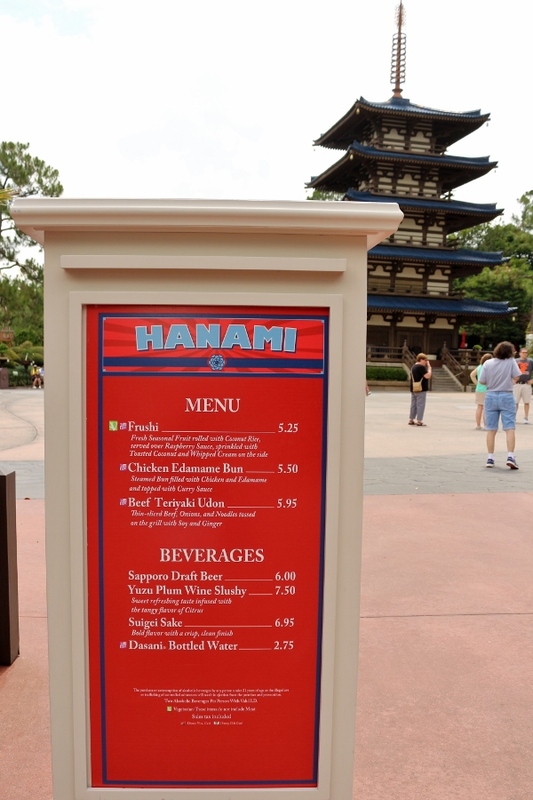 We really needed a refreshing, frozen, alcoholic beverage at this point to offset the heat. 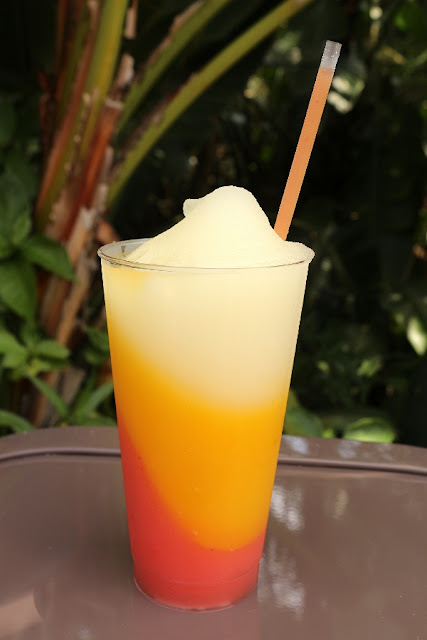 A frozen "Fiesta" Margarita was just the ticket, layering lime, mango, and strawberry frozen margaritas. We found a nice shady spot on top of a trash can (hey, it's a flat surface!) to take a little break from the sun and consume our drink. 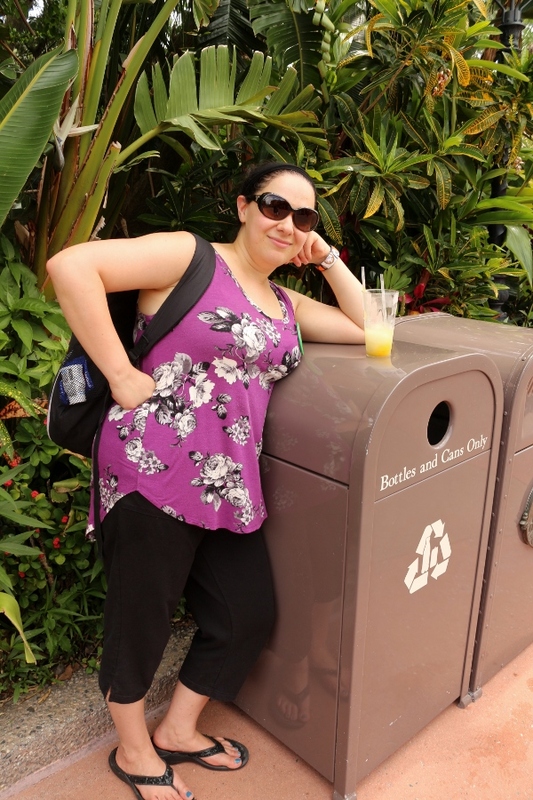 Besides, getting "trashed" by a trash can is pretty punny. Say hi to my sister! 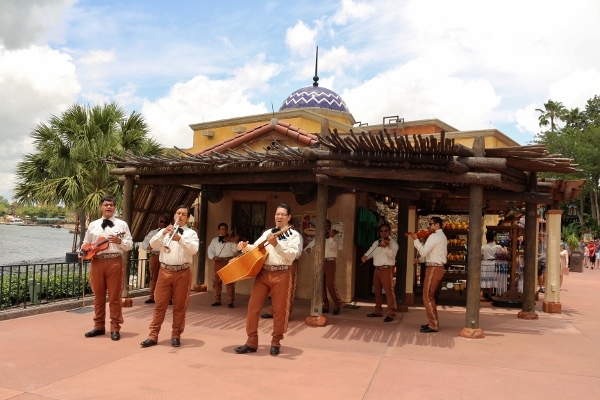 And during our trash-top siesta, Mariachi Cobre, the Mexico Pavilion's mariachi band showed up to entertain us. It's like they knew we were hanging around. What perfect timing! 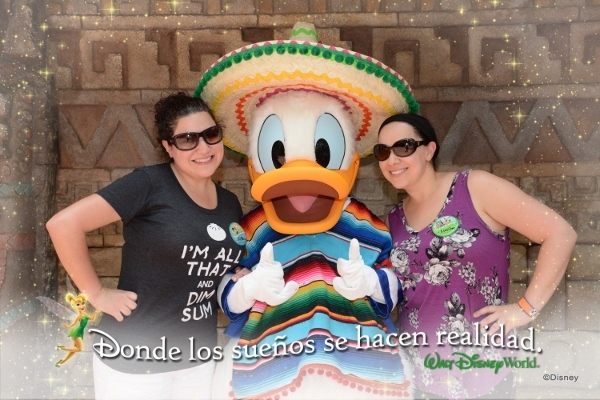 And then we turned around and found Mexican Donald posing for photos behind some trees. Obviously we waited in line to meet him. Nice sombrero! 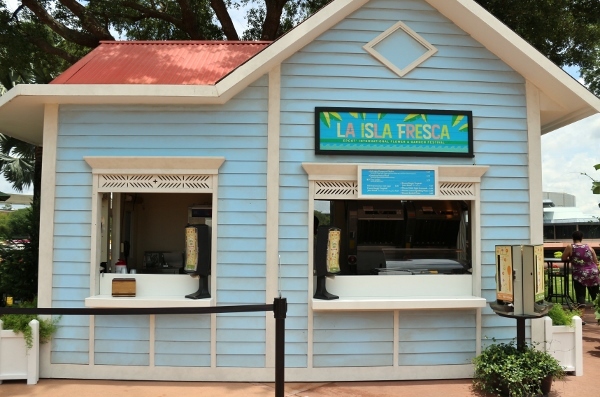 We had just a tiny bit of room left in our bellies, and made a final stop at La Isla Fresca, right around the corner from the Mexico Pavilion. 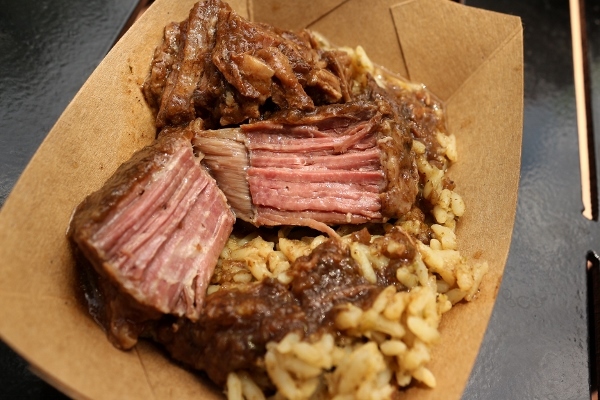 Here we tried the Jamaican-braised Beef, served with pigeon pea rice and micro cilantro. 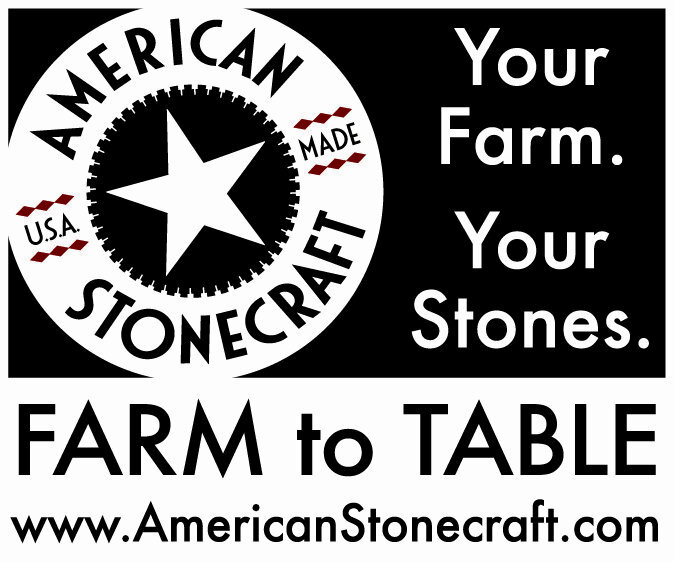 We didn't see any micro cilantro on our serving, but with that said the beef was phenomenal. 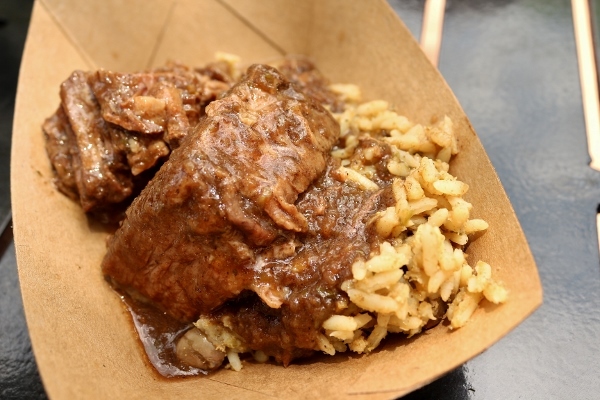 Really flavorful, but not nearly as spicy as a traditional jerk-style Jamaican dish. The meat was fork tender and very comforting. 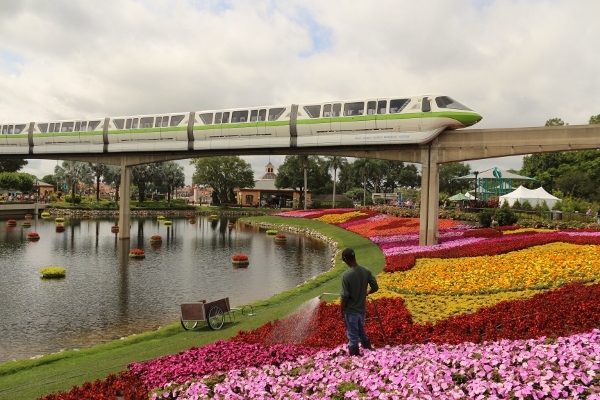 I absolutely love visiting Epcot during the Flower and Garden Festival. 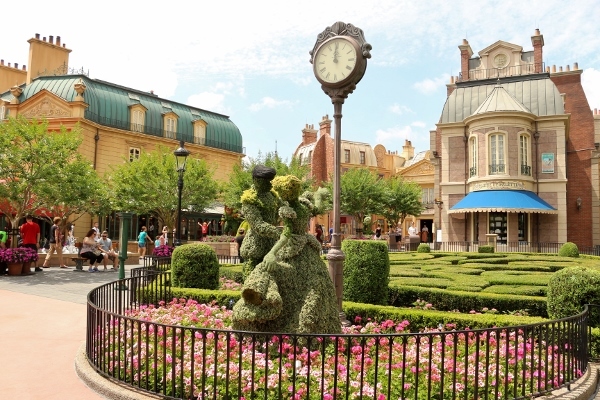 Not only are there some really great tasting options at the outdoor kitchens throughout the World Showcase, but the actual topiary displays and gardens are exquisite. 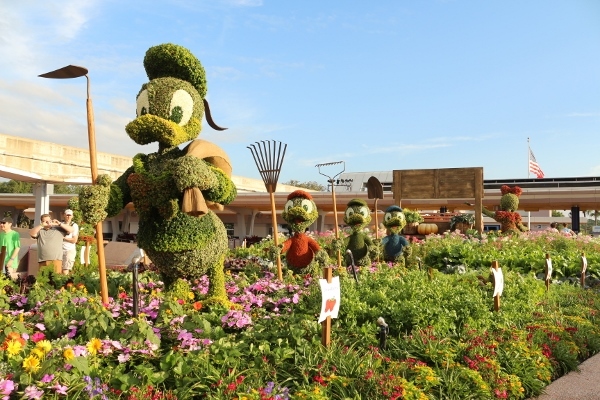 The festival lasts several months, so if you have the opportunity to visit Walt Disney World during the spring in the future, this is a great event to check out!